Genuinely good wildlife photography pushes the photographer to his limits.It involves finding the ideal position between light and dark, between forest and clearing and these days also between nature, farmland and road. Extensive natural habitats and long animal migration routes have become rare. 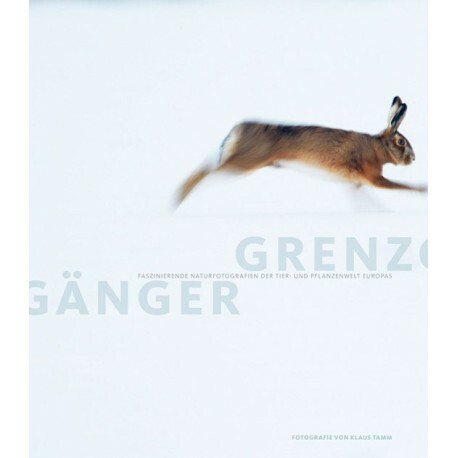 That’s why this book is dedicated to a Europe-wide nature conservation project called “Grünes Band“ which is committed to the protection of the green belt habitat along the former Eastern German border. Today it is symbolic of the conservation of animal migration routes without which many animals in Europe would already be extinct. Klaus Tamm’s book impressively illustrates how unique and worthy of protection Europe’s natural habitats are.